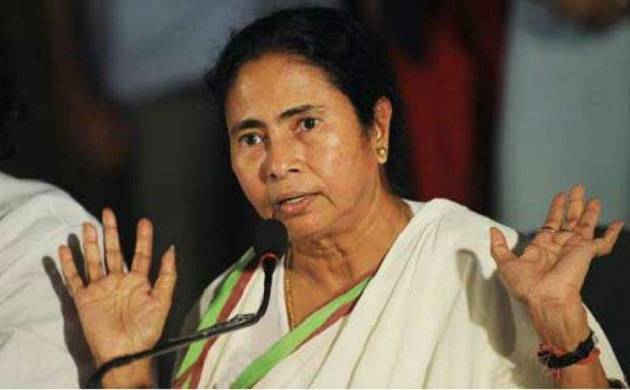 West Bengal CM Mamata Banerjee was ridiculed for her 'oust the BJP' call at a public rally on Friday. The BJP on Friday ridiculed West Bengal Chief Minister Mamata Banerjee's call to "oust" the party from the country and claimed that her Trinamool Congress had been "reduced to a signboard" in Tripura, where it tried to expand its base. "She (Banerjee) had earlier given a 'Modi hatao, desh bnachao' (get rid of Modi, save the country) call, but the BJP won in four more states (after that). We are ready to fight her politics of appeasement and communalism", said West Bengal BJP president Dilip Ghosh. Commenting on Banerjee's "oust the BJP" call at a public rally on Friday, Ghosh said the saffron party came to power at the Centre and 18 states through a democratic process. "The TMC tried to expand its base in Tripura, but was reduced to a signboard there. Now, she (Banerjee) is calling for an ouster of the BJP. This is funny", he added. Six sacked TMC MLAs in Tripura had voted for NDA nominee Ramnath Kovind in the July 17 presidential election. "In the presidential poll, there was cross-voting in West Bengal as well. She (Banerjee) should take lessons from it", Ghosh said, adding that the TMC chief should see whether she would remain in power in the state or not. As a counter to the TMC's "oust the BJP" programme, he said the state unit of the saffron party would launch a campaign on August 9 against the "appeasement policy" of the ruling party in West Bengal. Refuting Banerjee's claim that India's relations with foreign countries had deteriorated during the Modi rule, Ghosh said, "On the contrary, Prime Minister Narendra Modi's foreign policy is respected all over the world." He alleged that the TMC was "obstructing" the development programmes of the Centre and accused Banerjee of "indulging in corrupt practices".